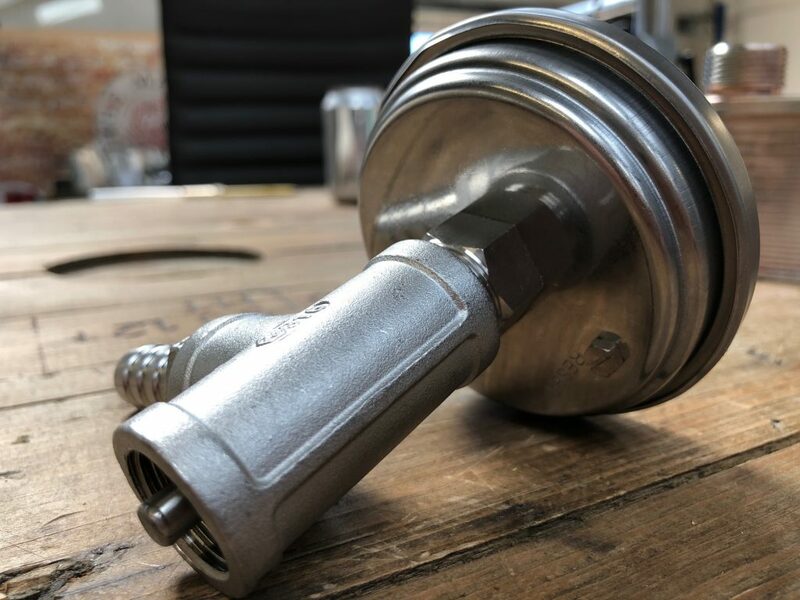 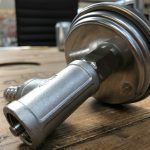 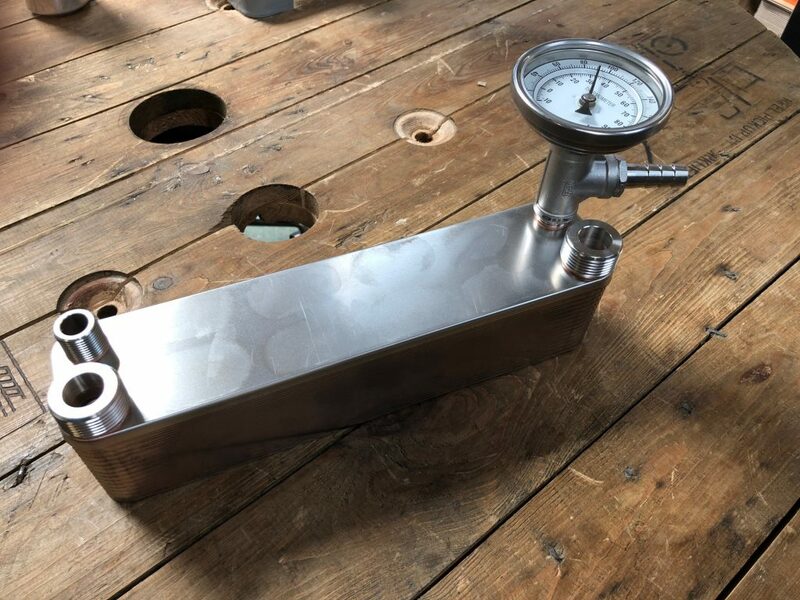 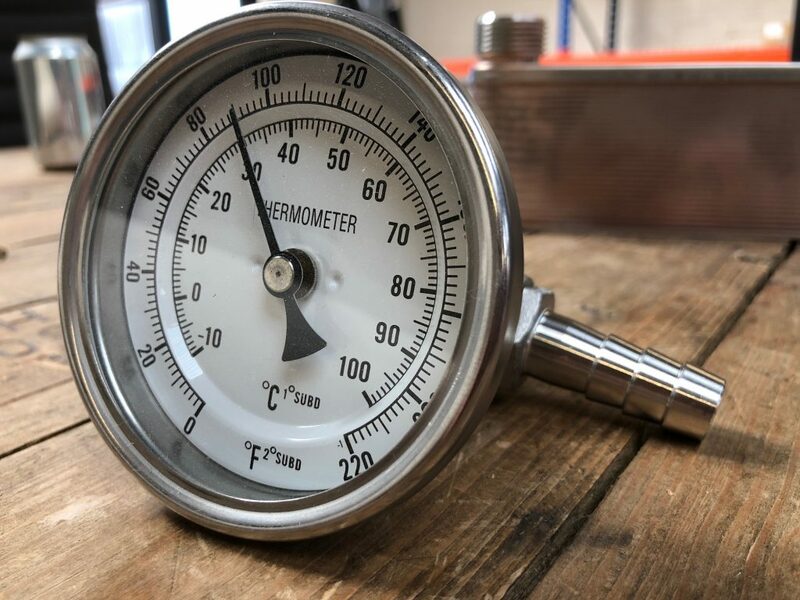 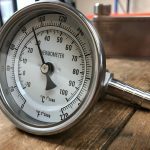 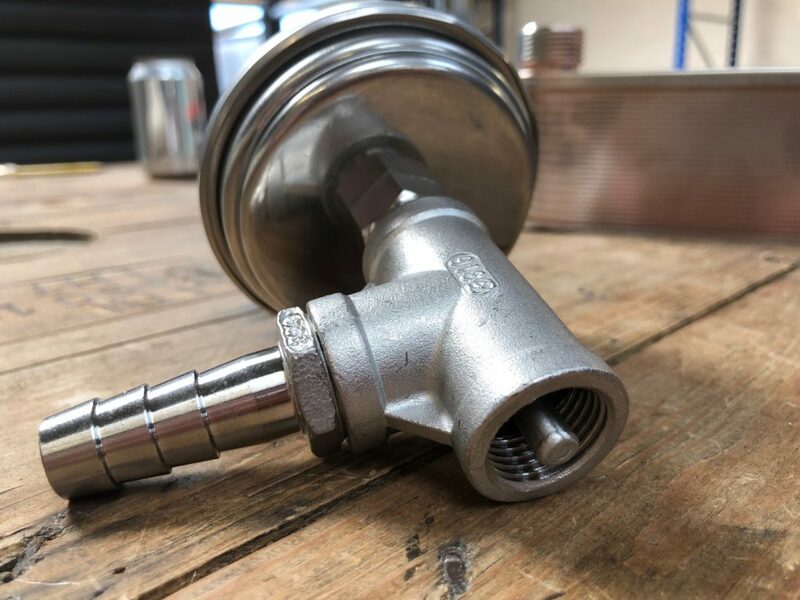 Stainless steel 3″ / 80cm casing with easy read dial in both C and F. Can be used in herms type set ups or on a plate chiller to measure the temperature of the wort. 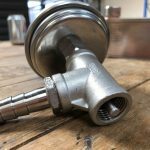 Adjustment screw on rear for fine tuning. 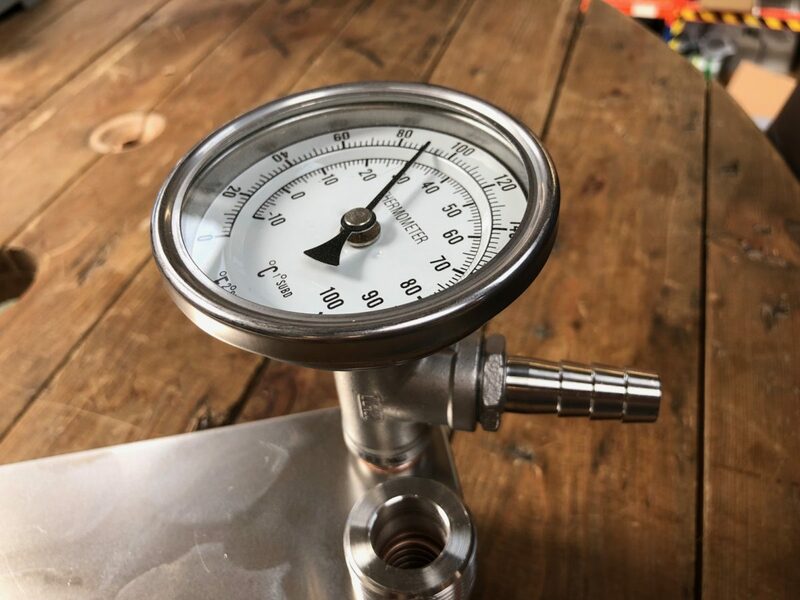 3" face with easy to read dial. 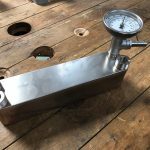 Fits directly to plate chiller, stainless barb for silicone tubing.